Thank you for visiting our website. Here you will find more about us. UCL is a Kenyan Pharmaceutical Manufacturing Company based in Kikuyu Township, Kiambu County in the Outskirts the capital city of Kenya; Nairobi. 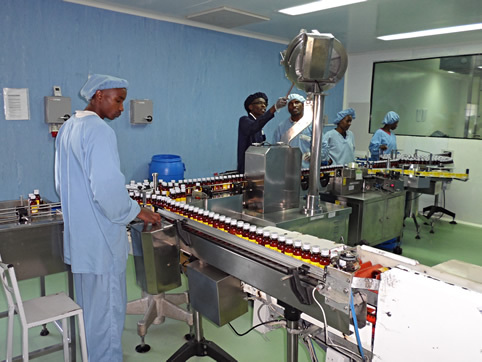 The UCL manufacturing plant has been accredited with GMP certification by the local authorities (Pharmacy and Poisons Board of Kenya) and international quality compliance by various DRAs ( Drug Regulatory Authorities). Currently, UCL manufactures over 100 formulations of Human medicines. This manufacturing capability is divided as per the dosage forms produced in each line & includes tablets, capsules, ointments, creams & powder (ORS). To provide high quality health care products affordable to more people. To be the leading partner in providing quality and affordable health care to africa and beyond. Quality, Customer, Focus, Teamwork, Innovation and Integrity.